My best friend was a homeschool veteran by the time I finally decided to homeschool. When I went to her to discuss science options for my then 3rd grader, she handed me a stack of Janice Van Cleave science experiment books and said “Just have fun!” That was the best homeschool advice I have received yet. We spend third grade doing all kinds of experiments, wondering why they turned out like they did and then doing the text book research from there. It was lots of fun. Those experiments created a love and understanding of what science really is. We still use Janice Van Cleave books. She has such a variety of books to choose from. We have a few at home and our library carries more. Sometimes, the experiments go with what we are studying at the time. Other times, we do experiments just for fun. Most of the experiments in Janice Van Cleave’s experiment books use basic materials you probably have at home right now. The instructions are so simple the kids can do a lot of them on their own. Grab a Janice Van Cleave book for yourself and have fun with it! This post is part of the iHomeschool Network’s Autumn Hopscotch, a 10 day series of posts by over 40 different homeschool bloggers. Visit iHomeschool Network for subjects like Learning With Minecraft, Using Boardgames for Learning, Busy Bag Ideas and Crock Pot Recipies to feed your homeschool family. 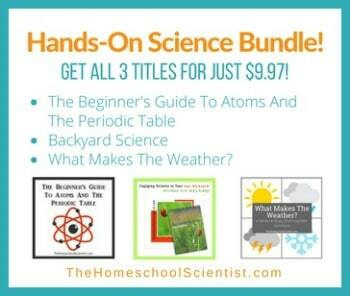 Check out the entire 10 Days Of Great Science Books series. We just recently picked up some Janice Van Cleave science books from a used curriculum fair, and I’m excited to try some of them out with the kids this year! We are using JVC Earth Science and Astronomy books this year with our Science co-op. I think these are wonderful resources for homeschoolers! I used to use these in my science classroom. The experiments are usually fool proof which is great when kids are waiting on you! I have a shelf full of them now. Love them. I’ll have to check these out. I was a science major in college so I think i’m a bit picky with science curriculum. I still have yet to find one that I like enough to stick with it through the next year! I totally get what you mean about being picky about science curriculum. I probably over think it!